What a difference some sunshine makes! After what has felt like a very long and cold winter, May has been a month of sun and warmth and even the first May bank holiday at the beginning of the month broke records for the warmest public holiday in the UK ever! Everything which had lain dormant in the gardens suddenly experienced a growth spurt and is now in full bloom. It is time to flourish! At the beginning of this year several prophetic voices declared that 2018 would be a year of “suddenlies” and we are beginning to see some of these manifest: whether it’s the apparent sudden thawing of hostilities in international relationships or the more personal suddenly for us, as a ministry, of moving into new office space in Oxford, we sense there are shifts beginning to happen for which people have waited and prayed for so long. 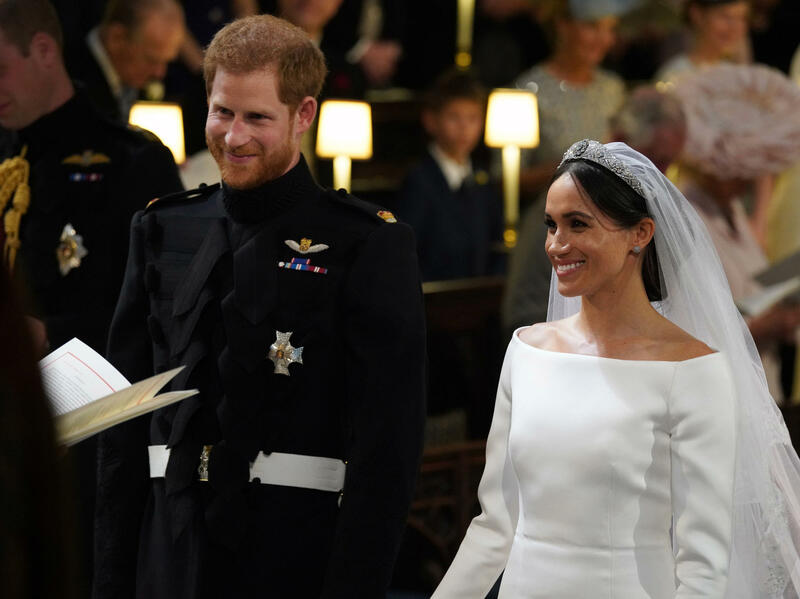 This sense of change was also echoed at the Royal Wedding of Prince Harry and Meghan Markle last weekend as they chose the Scripture from Song of Songs 2:11-12 as their reading: See! The winter is past; the rains are over and gone. Flowers appear on the earth; the season of singing has come, the cooing of doves is heard in our land. For many of us these words resonated prophetic poignancy as they were read on this significant platform for both us in the UK and the wider world. In May Gordon and I have traveled extensively in the southwest of England in Devon, helping to lead prayer and resource the churches and their leadership teams in Barnstaple, Okehampton, Torquay and Exeter. We were encouraged by the tenacity and resolve of the churches to re-dig the ancient wells and see the breakthroughs that have been prophesied. We were also touched by the hunger of people and one of the highlights for me was to see the queues of ladies waiting outside Okehampton Baptist Church early on the Saturday morning to come to the “Shine” ladies’ breakfast. A man in the street commented that he did not know people could be so happy to go to church as he watched these ladies chatting and laughing together as they waited to get into the building! On our way home from Devon, we stopped in Wells, Somerset, where Helen joined us for a time of prayer. The decision to visit Wells Cathedral came from preaching down in Exeter in January 2018 on the theme of “Unblocking the wells”. Having done some research into wells, we discovered that there are hundreds of “holy wells” across the UK. These are ancient wells which have a spring of fresh water and are therefore never stagnant and were known for their healing properties as they provided vital sources of fresh water to whole communities. I felt the Holy Spirit say to me to “sing to the wells” and to go to Wells Cathedral as a symbol of this for the nation. In doing some research, we discovered that the city of Wells has three holy wells, two of which are inside the Cathedral/Bishop’s Palace grounds and one outside in the Market Place. As we prayed around the Cathedral, our attention was also drawn to the famous Wells Cathedral clock which is considered to be the second oldest clock mechanism in Britain, and probably in the world, to survive in original condition and still in use. The original works were made about 1390. 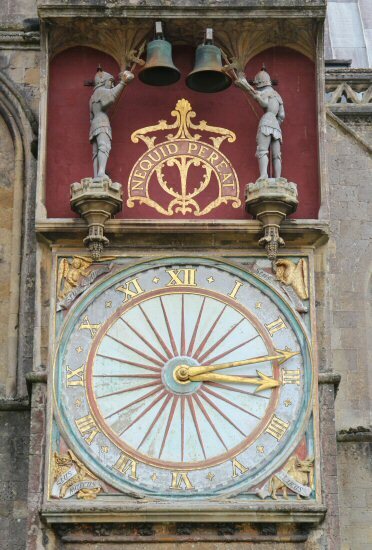 The inscription on the clock, ‘Nequid pereat’, means ‘Let nothing perish (or be lost)’. We prayed that none of the foundations and heritage of the nation, rooted in the Gospel, would be lost. It was moving to pray on these ancient sites and make declarations over the nation during the national “Thy Kingdom Come” prayer week leading up to Pentecost Sunday. This month has also been a time of celebration for several of the churches we connect with. We had the privilege of being in Rotherham for their 90 years celebration and Chase Family Church for their 50 years. However when I felt God tell me to speak from Psalm 92 for the Liberty Church, Rotherham, birthday I was puzzled, as I knew the birthday was 90 years not 92. But when I arrived at the church and looked at the timeline I discovered that the mother church was indeed 90 years old but their baby church plant was also 2 years old that Pentecost Sunday having been planted on the 23rd May 2016! God is amazing and really knows all things and details! Having been based mainly in the south of the UK in May, this coming month we will be up in Scotland a couple of times and we sense this will also be a time of great prophetic significance with opportunities for declaration and to hear what God is speaking over our nations at this time. We are grateful for all your prayer support, financial investment and encouragement.